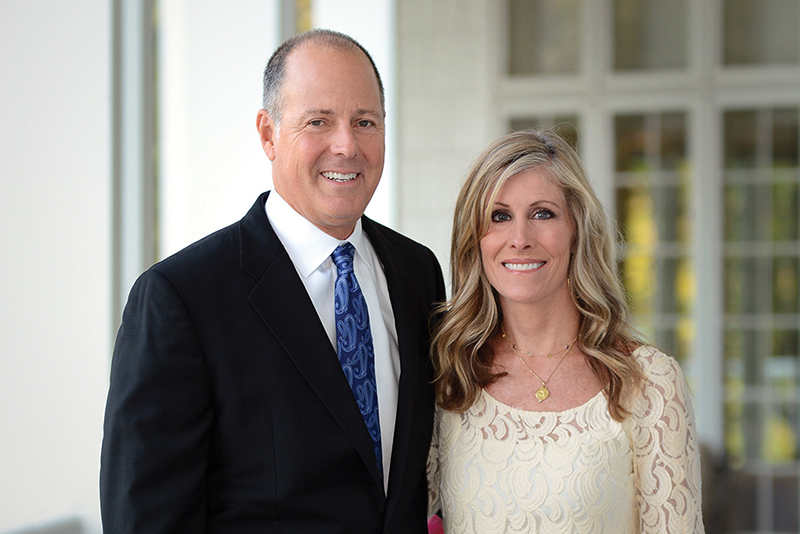 Mike and Maureen Bukaty, parishioners of St. Michael the Archangel, Leawood, are this year’s Snow Ball presidents. OVERLAND PARK — Nearly 2,000 people are expected to attend the 44th annual Snow Ball benefiting Catholic Charities Foundation of Northeast Kansas on Jan. 20 at the Overland Park Convention Center. Although it is one of the largest philanthropic events in the Kansas City area, the night itself is not a fundraiser — it’s a celebration. Mike and his wife Maureen, parishioners of St. Michael the Archangel in Leawood, are this year’s Snow Ball presidents. “When we were raising our young children, it was easier to write a check than to actually volunteer our time. Now that our children are grown, we wanted to give back our time as well,” said Mike. Since attending her first Snow Ball 18 years ago, Maureen has been struck by the breadth of services offered by Catholic Charities. John and Mary Campbell, parishioners of Church of the Nativity, Leawood, have been actively involved with Catholic Charities for more than 30 years. They’ve spent the last two years serving as the Snow Ball Patron Committee chairs. “We’re involved because we believe that we have an obligation to give back and help people of all faiths,” said John. They also share a strong and loyal belief that Catholic Charities uses its funds wisely. Church of the Ascension, Overland Park, parishioners Joe and Melissa Valenciano joined the Snow Ball Table Committee before ever attending the event. Seven years later, they are that committee’s co-chairs, working tirelessly toward a personal goal of filling 200 tables this year. Snow Ball is Catholic Charities’ single largest fundraiser, accounting for half of all private donations. In addition to raising funds and awareness, Snow Ball is about creating a legacy of service for future generations. Kyle Teahan knows firsthand about that legacy. His grandparents, Rich and JoAnne Teahan, served as Snow Ball presidents in 1992 and 1993 and are credited with taking the event to a higher level. Two years ago, he was honored to follow in their footsteps and join the Snow Ball Patron Committee. “It’s been inspiring to see the impact a small group of people can have on the lives of those less fortunate,” Kyle said. “Snow Ball is a good reminder for my generation that, individually, we may feel that we can only make a small difference.